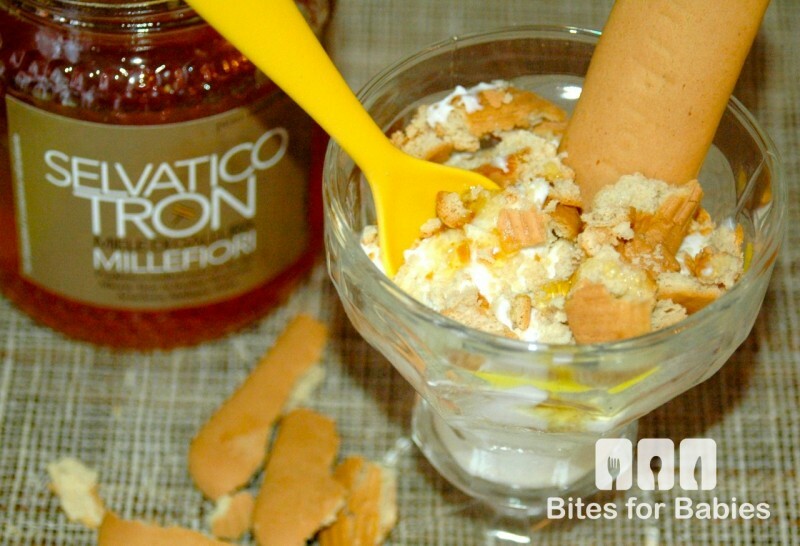 Ricotta and honey…mmm! 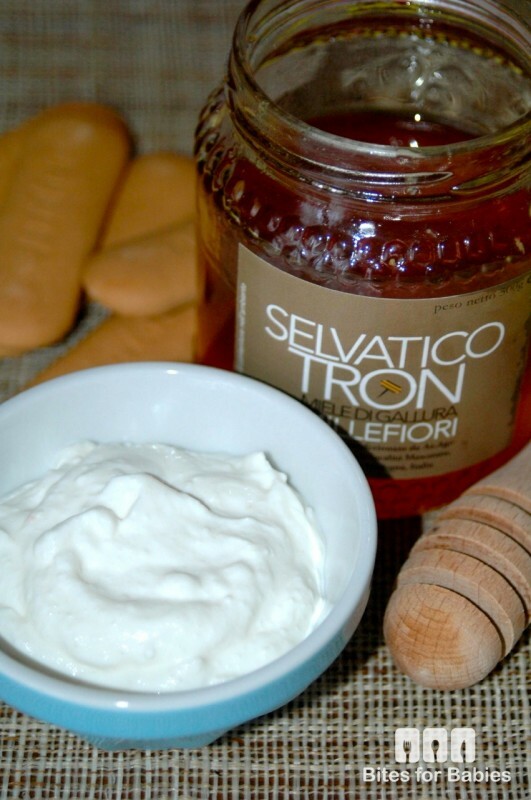 Sardinians LOVE their honey and they love drizzling it on cheese, particularly sweet cheeses, such as ricotta. 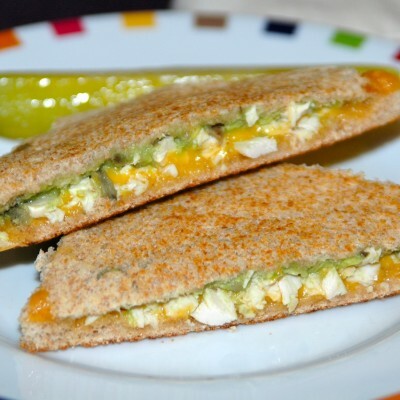 I switched up the traditional recipe by adding some crunch with baby cookies (Plasmon brand). My two-year AND 7 month old love this snack (minus the honey for the little one). 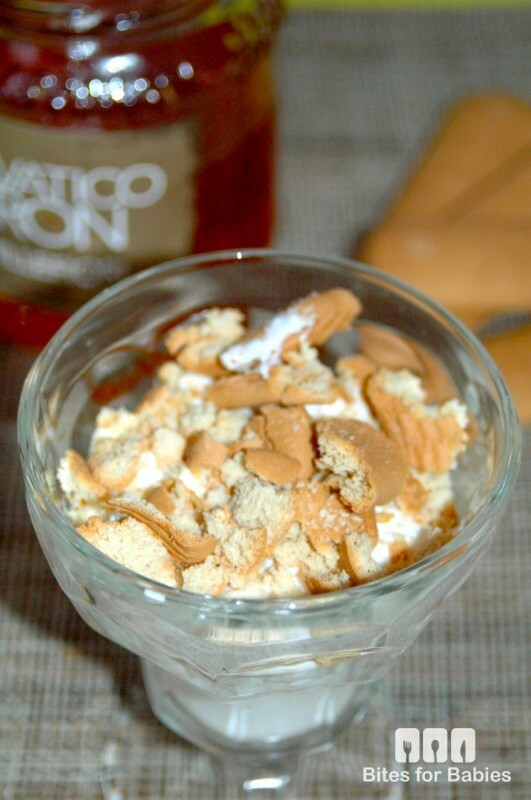 My son loves the crunch and my daughter loves the mushy bits of biscotti (that I let sit in the ricotta for 5 minutes or so to soften before serving). 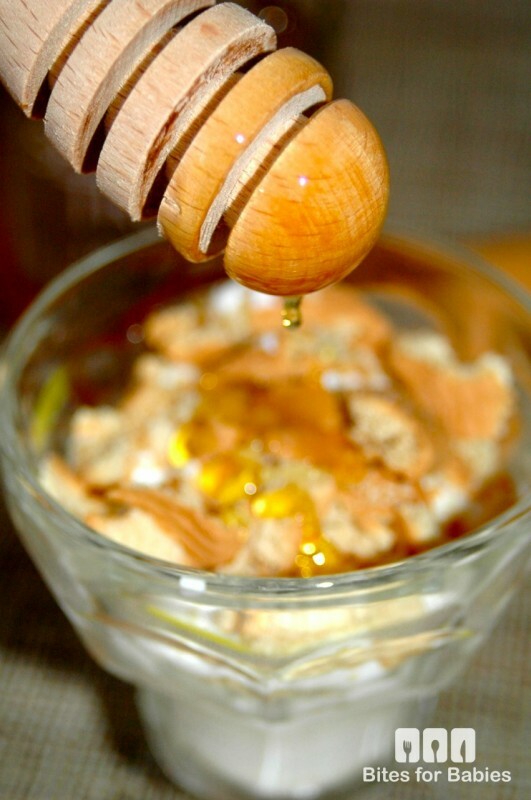 *This recipe is recommended for babies 12+ months as it contains honey which can cause botulism if given to babies under one year old. 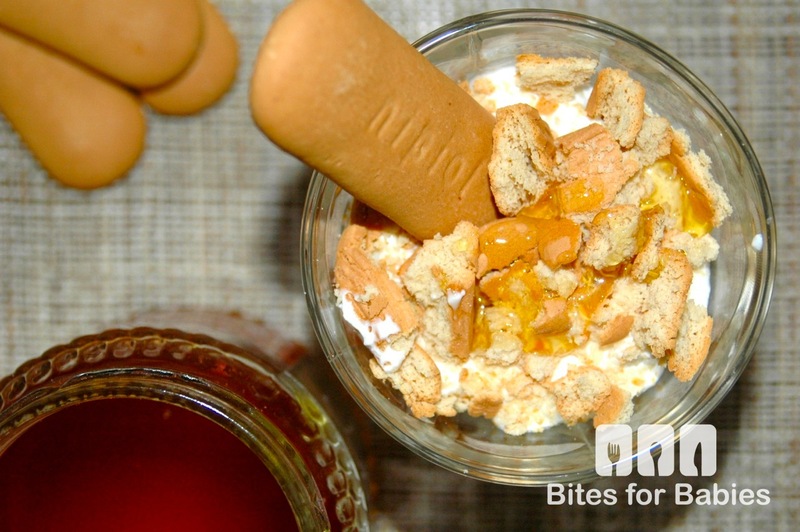 Layer ricotta and crumbled cookies in a small serving bowl then drizzle with honey. 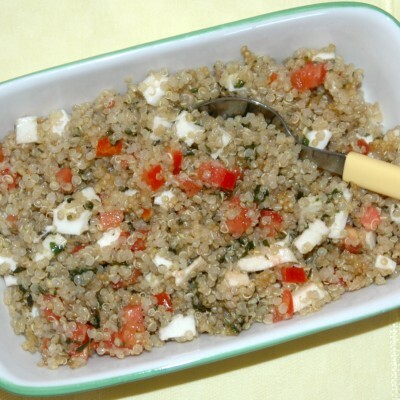 Garnish with more crumbled cookies for added crunch!